The Coleman® 360° Sound and Light Lantern is perfect for entertaining family and friends during outdoor gatherings. The 2-in-1 device offers a full 360° of light and the wireless capability of a Bluetooth speaker, so you can enjoy your favorite playlist long after the sun has set. 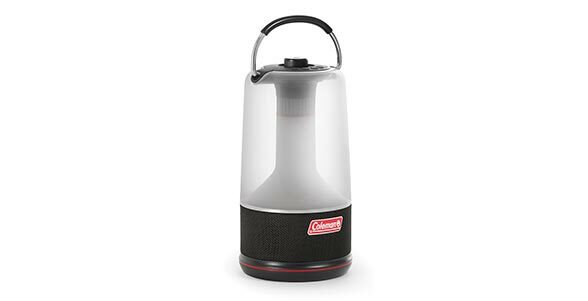 With up to 400 lumens of hands-free light, weather-resistant materials, and IPX4 water resistance, the lantern serves as a crucial component of camping gear, and a great piece for backyard entertaining.